Thanks for the help and the good idea! 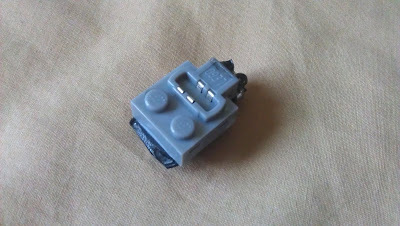 Here a example of my old 9V batterybox connected to my Lego I.R.-Receiver with a homemade adapter. Tomorrow I will test it with my SBrick. I looked at the extension cable with multimeter, and it links +9V and 0V of the old style 9V battery box to C1 and C2. Is it possible to use cable like this to give power to the sbrick or I have to cut it and solder the right wires to the battery connector? With both Android stock browser and Chrome Mobile scrolling doesn't work properly on the mobile site. OK, my SBrick is inside my nativity scene so it have to wait a few days til I can use it but I can confir it uses 0 and 9V pins from the light grey plug. I checked with my multimeter, the PP3 + and - are connected to 0 and 9V pins of the PF plug. The SBrick is powered by the top part of the PF connectors (either dark grey or light grey), it fits over it. I cannot confirm right now but Iam pretty sure it uses 0 and 9V, not C1 and C2. If you want to save the cable, you can plug the SBrick over the light grey plug and then over again a 9V (cutted) cable or an 9V electric plate and use some aligators. /> Can you help me and link a photo with the correct pin polarity (gnd, +9V) how to connect them correctly? Thank you very much! Yes, it is ok with the your firmware version, so the SBrick boots up. I'll ask the developers how can I debug it remotely. We tested with iPod Touch and not faced this problem. I'll come back you soon. Now it suddenly works. Will continue to monitor. I tried with horizon express and had the same issue as Jakob (https://social.sbrick.com/forums/topic/51/port-test-100-turn-off). Strange. Please try restart your iPod Touch, and try again. I think it will be a problem in the iOS bluetooth stack. Please tell the results. no change. I also updated to 8.1.2 and restarted. is that normal that the green LED only flashes up once after turning power on? update: ok, now I have a connection. Strange. But seem to work now. How can I connect to SBrick? I just received 2 SBrick but I can't connect to any. I used an iPod Touch with Bluetooth 4.0 and iOS 8.1. When I connect SBrick to a power source and turn on the power I can see flashing a green LED once and shortly on the SBrick. In the SBrick app under manage bricks i can see three times "SBrick" (but I have only two). If I try "Identify led" or port tester, nothing happens (connecting to bricks > lost connection). The BlueGiga company manufactures a number of devices. 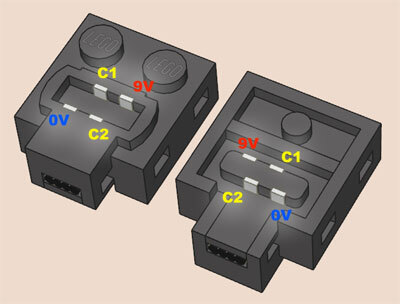 Their main profile are electronic modules that can be used by electronic developers. They indeed have a dongle called "BLED112" which plugs into the USB port. This dongle can "speak" BLE, and looks like and USD serial port device from within the computer. This however won't solve any problem by itself, since it's a development tool, and it's not really for end users. Currently WeDo needs a cumbersome wire connection to the PC. I thought I read somewhere Bluegiga plugs into the USB port for wireless connection? I don't know much about SBrick yet but perhaps if SBrick already can connect wirelessly via Bluetooth such stuff not necessary? Apologies if I sound ignorant. no, SBrick doesn't support WeDo, and the current hardware is not suitable for this task. Why did you mention BlueGiga? I don't undarstand your last question, can you rephrase it? Thank you! Or would we need to use Bluegiga? I posted a new thread in the Support forum but perhaps that should have been posted here instead? The Lego WeDo uses the Lego Power Function motor and a wired USB connection to the desktop loaded with Lego WeDo software or the MIT Scratch software. The WeDo hub need to be connected to the computer with a wire to the computer USB hub. Will Sbrick work with Lego WeDo? Anyone working on this or anyone have any information on how this may be achieved? All profiles can (shold be able to) do that. You can add more than one SBrick to a model, and assign function to any number of channel on any brick. Are there any profiles that allow me to control two SBricks from the same device.